Do you feel the power accumulating? With each level of convention you get to speak for more and more members of your party. At the precinct caucus you get to speak for maybe two or three dozen people at best. At the county or district level you might get to speak for two or three hundred people. At the Congressional District level you might speak for 2,000 or 3,000 people. If you make it to the State Convention you might speak for 2 or 3 percent of the state's population. Most of them didn't bother to attend a precinct caucus or vote in a primary election, which is equally important. It's an alternative path for a candidate to get on the November ballot. Many people have ideas foreign to yours. Your absence from the process gives them a distinct advantage. If there is no one to oppose them, they will have their way. Then all you can do is complain. A county, senate district or legislative district delegate will likely spend 2-4 hours at the convention. A congressional district convention will usually take a day. The state convention will take two to three days to complete its work. If you go to the national convention for your party, you can expect to spend 5 to 6 days including travel time. It is not easy to get elected as a national convention delegate but not impossible either. With each succeeding level of convention the business is much the same but the stakes get higher. Resolutions are important but without delegates who support them they become meaningless. The County, Legislative District, Senate District and Congressional District conventions all can endorse candidates for public office. Congressional candidates are endorsed at the Congressional District Convention. The State Convention endorses candidates for statewide offices such as Governor, Auditor, Secretary of State and others. The State Convention also endorses candidates for U.S. Senate. 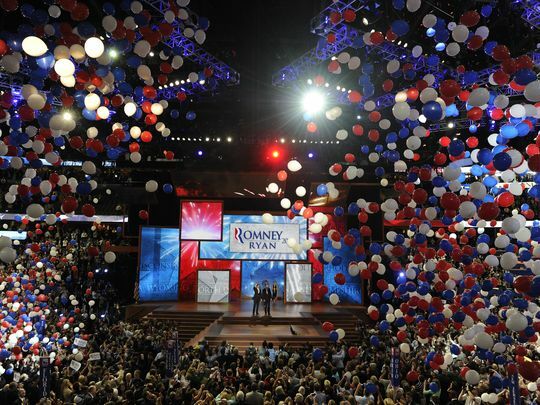 It elects delegates and alternates to the National Convention, where a candidate for President of the United States will be endorsed. When a political party endorses a candidate that person will be on the November ballot. If someone challenges the endorsement, a primary election ensues and that party's voters will determine the candidate to be put forth on the general election ballot in November. Now you know the process. If you don't like the candidates on the ballot, you are in one way or another, responsible for that; either by your participation or the lack of it. We hope you will do your part to make the system responsive to the citizens of our state and nation. It is the only way that our republic can return to its founding principles. OK, I'm in. Where will my caucus be held? We hold these truths to be self evident, that all men are created equal, that they are endowed by their Creator with certain unalienable rights, that among these are Life, Liberty, and the pursuit of Happiness.